I had the notion, months ago, of publishing this post. I had encountered, in a short period of time, one source too many of institutional corruption, American, Venezuelan, Indian, and Iranian. But, as often happens, my own privileged life went on; I was busy with work and the idea slipped to the back of my mind. Screen shot of the online version of the article. Kassie Bracken/The New York Times. From artktimes.com. To sum it up very briefly, this is the story of how a number of young men with a variety of developmental disabilities were taken from their homes in Texas in the 1970s in order to work in a processing plant in Atalissa, Iowa, eviscerating turkeys. The men were good at the work they were trained in, and, at first, everybody (most of their families, the town residents, and the owners of Henry’s Turkey Service), were pleased these men could earn their living rather than waste away in institutions. The problem was that that living was $65 a month, due to (sadly) legal subminimal wages and various (illegal) deductions. And there were no benefits included, other than food, lodging, and the occasional monthly diversion. 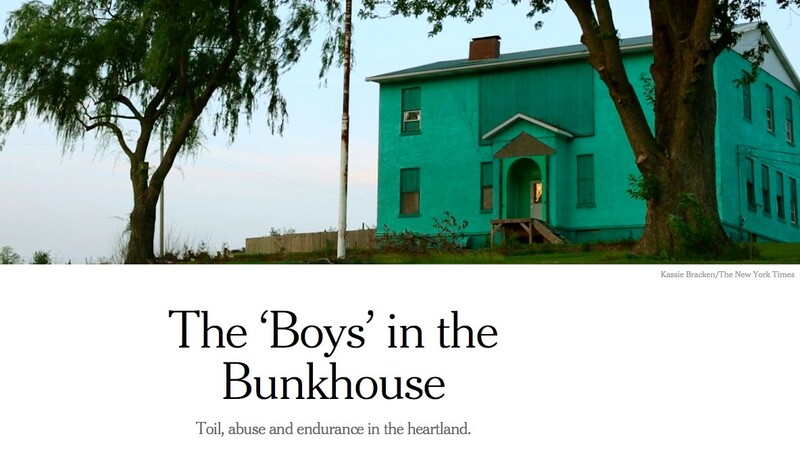 And then there was the small detail that the men were kept in a roach-infested, leaky dormitory from which they were not allowed to leave without permission, not allowed cell phones, not allowed almost any contact with their families. Living in squalor under the noses of the town residents, these men where kept in such servitude for 30 years. The reason I encourage you to read this piece is that there are no dastardly plots or acts of unquestionable villainy. Their story is not about “senseless evil,” a phrase that has become increasingly meaningless to me. It is about how the lives of these men were stolen under the most mild of oppressing circumstances. This is about corruption of the worst sort; the kind that starts with plausibly good intentions and then grows and festers out of neglect, carelessness, and apathy. The kind hardest to combat. The kind that inevitably breeds acts of sense-ful evil. The kind we all aid with our ignorance. I don’t have much more to add. Read on to sample a well-reported account of how strapped-budgets in law enforcement departments lead to what amount to acts of piracy, blackmail, and racial profiling along state borders. Heinous; but who is to blame and what can be done is difficult to ascertain. 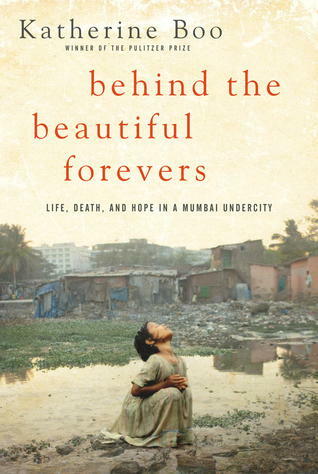 Winner of the 2012 National Book Award, Behind the Beautiful Forevers: Life Death and Hope in a Mumbai Undercity, written by Pulitzer Prize winner Katherine Boo, is by turns harrowing and humanizing, often both simultaneously. Boo lends a voice to the residents of Annawadi, a slum that hugs the Mumbai airport. Unlike many a well-intentioned, bleeding-heart reporter, Boo does not make this narrative about her encounter with this world. In fact, we do not hear her voice until the author’s note at the back of the book (which I encourage you to read first, since it helps provide context for how Boo had access to all the stories). Reading this book made my heart sink at the all too familiar discourse of unscrupulous government officials, crooked police officers, and general systemic failure that renders both local and international relief efforts entirely moot, forcing masses of human beings to resort to incredible means in order to survive. And yet, Boo’s book also made me realize that it is not enough to wring one’s hands at photos in charity advertisements or TV commercials. These are not images, or symbols; they are people, people with dignity and a humanity that may survive the weight of their struggles. They have their own voice, and their own story to tell, if we would only listen. Who else’s story have we been deaf to? 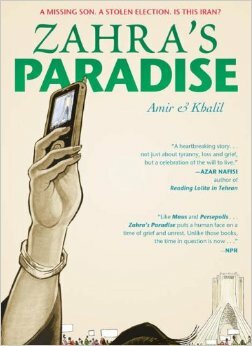 Zahra’s Paradise: A Missing Son, a Stolen Election. Is this Iran? 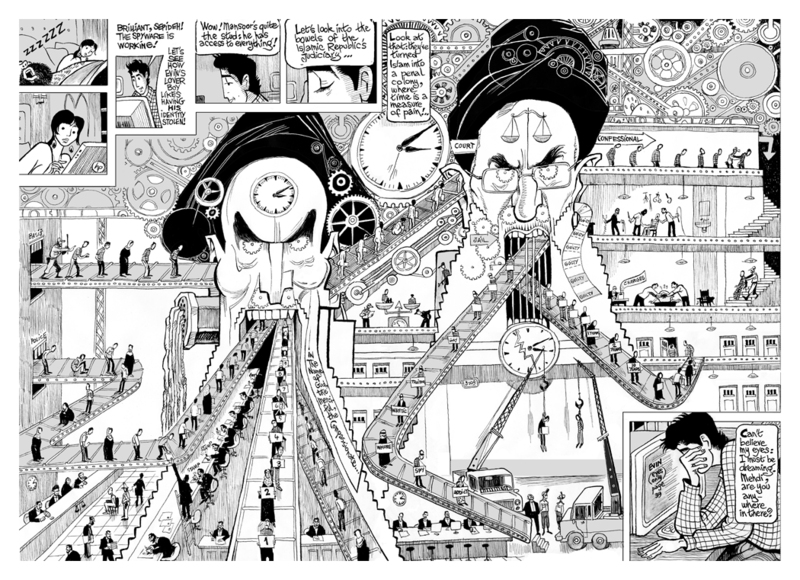 This graphic novel, whose authors have remained anonymous to avoid political repercussions, is the printed result of stories and images originally published online. Set after the the infamous 2009 elections in Iran and the ensuing political uprising, it is a collection of stories and illustrations which have been joined to form a “fictional composite of real people and events with profound insight into present-day Iran” (from the dust-jacket). If I were to be brutally honest, I would confess I am not aesthetically drawn to the artwork. However, the information contained in this book makes it a must-read for anyone who questions or is curious about what the Iranian people were and continue to be subjected to by their own government. Among the links included in the book’s many afterwords is one which provides more information on the Abdorrahman Boroumand Foundation (found here), a “Washington-based organization founded in April 2001 with the aim of promoting human rights and democracy in Iran” (254). I’ve mentioned before my love for Iran’s rich cultural history; it saddens me, however, that where I feel most kinship with this beautiful country is in our similar current circumstances, defined by how our governments, Iran’s and Venezuela’s, claim to speak and act for some horribly skewed notion of “its people,” a notion that excludes any who dare speak out against it. How to fight the machine? How to fight under the weight of all this insidious and overt corruption which erodes our culture and our existence? I don’t know. What I do know is what Elie Wiesel has said: “We must take sides. Neutrality helps the oppressor, never the victim” (Night). And the best way I know how to take sides is to see, to see what is happening and name it for what it is. And that starts with being informed. This entry was posted in Culture Updates, Current Events, Iran, Journalism and tagged Behind the Beautiful Forevers, Boys in the Bunkhouse, Civil forfeitures, corruption, Dan Barry, Katherine Boo, Sarah Stillman, Zahra's Paradise. Bookmark the permalink.